Did a quick search and didn't find any results, so new thread. I'm surprised that Mikoyan hasn't approached Shenyang to produce a licensed version. Sukhoi has the SU-35 alongside the T-50 while Mikoyan has no 5th Gen offering and the FC-31 is sized around the Mig platform. Would save a lot in the R&D department. One of the engine offerings (RD-93) is also used in the Migs. Or maybe a new engine under the Powerjet banner since the French are looking to produce a new fighter with Germany. Back in May 17, an updated prototype flew with some structural changes. Most notably, the vertical tail. I think it would look good with an all movable VSTAB like the T-50. I think Indian navy might be fat up with Mikojan-Goerevitsj after getting these MiG-29K's. Apparently yes, the Shenyang FC-31 is going to be converted for carrier operations. Good catch. Although changes that this will fly with the Indian navy are slim at best. China and India aren't BFF's. I'm surprised that Mikoyan hasn't approached Shenyang to produce a licensed version. Sukhoi has the SU-35 alongside the T-50 while Mikoyan has no 5th Gen offering, and the F/C-31 is sized around the Mig platform. Would save a lot in the R&D department. That is a nice suggestion, Mikoyan license produce the Shenyang, but why would Shenyang and how good is the product of F/C-31? Too early to say I suppose, since it's still in prototype stage. But there would still be royalties to Shenyang. China have produced aircraft under license from the Russians previously, so would just be a turn of the tables. We are also seeing more cooperation between the Russians and Chinese in the commercial industry with the Comac now. Will the Russians build the machines without paying the royalties? The Chines have for many years and adapted many designs. Just look at the many derivatives of the MiG-21 / Chengdu J-7, right up to the current FC-17. It may leave the door open for the Russians to get a little payback in that department, but it would hamper projects like the C929 which is likely to be more profitable than a fighter. Potentially yes, Russia has a large export defense industry. On the commercial side, they are not really selling, neither is the Chinese, although they have a large domestic marked. five no carrier variant nor experience designing a carrier capable airframe. Hardly irrelevant if you are proposing that India acquire a Chinese aircraft. We have only recently had one of the worst border disputes between the two nations in a significant period of time. 2, There are either two prototypes or the first one received pretty substantial updates. And that is an excellent review of the situation. No one knows if there is one or two aircraft but either way it doesn't matter. There is so little detail and so much vapourware when it comes to the FC-31 that no one has any idea what is truth and what is rumour. 3, it's still in development. Sorry that doesn't cut it. Can you name a single military fighter aircraft that is being developed without a customer? There is no indication that the Chinese are actually going to acquire the aircraft and it appears that Shenyang are developing it to export. So far there has been no confirmed sale or even interest by a credible customer and certainly not one who is likely to fund the development. 4, it's still in development. The F-35 has 16 jets in its development phase, the PAK-FA appears to have at least ten, the J-20 appears to have at least 8-10. Still there aren't more than two FC-31s. It clearly is not really in development, not in the context of military fighter aircraft development. It is just being shopped around by Shenyang looking for someone to fund the dev work required and currently the FC-31 is more equivalent to the X-32/35 than their subsequent prototype variants. Saying there will be a carrier development when they don't even have a customer for a land based version is naive. My personal opinion is that China built the J-15, by way of extensive Chinese copying of the Su-33. The J-15 has also not finished development and Shenyang has had numerous issues such as the below. Macau-based military expert Antony Wong Dong warned that the fatal accident might indicate that the J-15 was not of high enough standard for an aircraft carrier, which would be a major disappointment to the navy. “As was with case with accidents during trial flights of the Su-27s in the 1980s, the reason behind the crash of the J-15 could either be a failure in the flight control system or a problem with production quality,” Wong said. So the jury is still out on the ability of Shenyang to design and build a viable carrier based aircraft and given the context of this thread, that India is having issues with the Russian designed and manufactured MiG-29K, it seems highly unlikely that India would fund the development and acquisition of a new carrier aircraft from a manufacturer who, as with MiG, has yet to demonstrate competency. There is also military integration to an extent considering both China and India operate Russian carriers and aircraft. There's probably other ships or subs too. China also have aircraft based off russian aircraft and then theres the PAK FA / FGFA. There's probably a lot more (technology transfers) but they are not as open about their projects as the west is, so it takes a lot of research if the info is even available. I'm sure there will be a military version of the Comac 929 or a variant thereof too. That is not integration, it is merely commonality and in actual practical terms India and China operate vastly different variants of Russian aircraft and carriers. Both have been customised and modified heavily from their Russian base versions. Yes they have had issues over the border for a while. But I don't think the relationship is as bad as the media paints it. And it's irrelevant when you consider it uses Russian engines, the can switch out all the electronics, produce a lot of their own parts and apply their own RAM coating and paint. All the Chinese projects are kept quiet. No one knew how many J-20s China had for a long time. Still don't. No one even knew about the FC-31 until it flew! Nor saw the second prototype until flight. China is not open about their military stuff. Heck, they even managed to keep one of their new carriers well hidden. The FC-31 does have a customer. China! I highly doubt they are just offering it for export. That a lot of money and work to put into something in the hopes you can sell it. Why go through the trouble of such big changes for the second prototype. Not everyone treats development the same. There are a number of reports saying that China will be operating them from their new carriers. I'm sure the J-15 has issues. It's a first experience for them and if I'm not mistaken, was reverse engineered. It's currently estimated that they have around 20 of them them. So 1 accident really isn't too bad. My point is, they do have experience. All I'm saying is, for budget strained forces, the FC-31 has potential. And since China is carrying the development costs, you're probably not going to find a 5th Gen fighter anywhere for the same cost. $70mil is claimed. ^The public may not have known this information but I wouldn't say this necessarily caught the West off-guard. What you are proposing is crazy. You do not just switch out electronics, that type of operation takes years to accomplish, is fraught with risk and costs lots and lots of money. Why would India embark on a project to purchase the FC-31 and then frankenise it with Indian (or French or Israeli) electronics. Instead they can continue with the current project and acquire a current in service aircraft, not have to modify it extensively, and actually trust the vendor to provide what they promise. China may be murky on how much it spends but it has been clear from the start, and reported on in countless articles, that the FC-31 is intended for export purposes. So provide us with the evidence that China intends to induct the FC-31 into service? Exactly, and yet export is what it is for. China hasn't inducted the JF-17 which unlike the FC-31 was joint funded with Pakistan with the sole intent to export. So the precedent is certainly there to manufacture and market a for export only aircraft. You have no evidence that China is carrying the development cost. If so, why has development been so slow, why is there only one, perhaps two prototypes? Finally, the last thing a budget strained air force needs is a chinese attempt at a low cost 5th gen fighter that is likely 5th gen only in name. Good point about the JF-17. But Im not sure it's a fair comparison. That was basically a joint venture right from the start with Pakistan fronting half of the cost. China probably saw a bigger market to recoup most of their half of the cost and write the rest off to experience. Which seems to be paying off. China has to be carrying development costs considering there are 2 prototypes (mostly reported) flying! The second one with major updates. No one else has paid for it to get from paper to flight. Let alone the changes to the second prototype. A considerable amount of R&D is required to get to this point. Slow probably because of cost and the changes. The wing, horizontal stabilizers, and vertical stabilizers were changed. 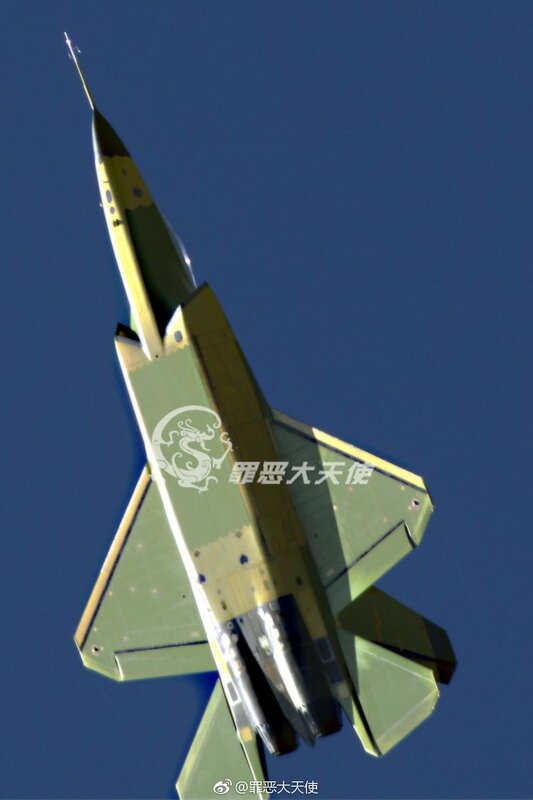 There are many reports claiming that China will likely use the J-31. Most suggesting a naval variant. Though the landing gear already seams to be really "beefy". Results from a quick search. "There’s been talk on Chinese Internet messaging boards suggesting that SAC has recently won government funding for a J-31 carrier version, which could be larger than the initial prototypes (the carrier capable F-35C is also larger than the basic F-35A variant), in order to increase range, payload, and structural strength for the stress of carrier flight operations." As for 5gen in name only, time will tell. Visually, it fills the requirements. What's under the hood and RAM coatings etc is yet to be seen. They all use Chinese engines. The current latest prototypes use the WS-13E, while distantly related to the RD-33, it is so far removed that any similarities are irrelevant. If online sources are to be believed, it will see a completely new engine at some point too. It wouldn't be unheard of for China to induct variants of export systems. The JF-17 never really offered anything that the J-10, J-7 and J-8 couldn't do just as well, and now it has even been superseded by the likes of the J-31. It was an unlikely aircraft for the PLA from day 1. The J-31 does potentially offer significant qualities that could be useful to the PLA. I'm not sure about the carrier claims though. Nothing about any of the J-31 prototypes indicates future carrier plans, and it all seems like a bunch of LM style PR fluff. All I'm saying is, for budget strained forces, the FC-31 has potential. Chinese manufacturers are quite adept at offering tailor made variants of their aircraft. As a platform, it has excellent potential with budget strained as well as high-budget forces. Plenty of technology has been gleaned from the likes of Israel, UK and Italy over the years, even the US back in the 80s and whatever they stole or purchased legally ever since. Will the Russians build the machines without paying the royalties? The Chinese have for many years and adapted many designs. Just look at the many derivatives of the MiG-21 / Chengdu J-7, right up to the current FC-17. The MiG-21/J-7 saga dates all the way back to the Sino-Soviet split in the 1960s. I doubt royalties were ever considered during the original transfer, hence not applicable. From everything I've read, the prototypes have been flying with the RD-93 which is an option. Nothing about any of the J-31 prototypes indicates future carrier plans, and it all seems like a bunch of LM style PR fluff. Except the landing gear. They are pretty beefy with a double bogie in the front. I never said it would be cheap or easy and I'm not saying saying they must frankenise it. You said switch out all the electronics. That is as frankenise as you get. Buying it as is and trusting the vendor would obviously be the best choice. But India seems to prefer to have control over what electronics gets put into their machinery. Buying it as it is is not an option, for starters a carrier version doesn't exist. The FC-31 is self-funded by Shenyang, which is hoping to export it. There are many reports claiming that China will likely use the J-31. Most suggesting a naval variant. Though the landing gear already seams to be really "beefy". Again, read your own source links. In addition, the wheel wells of the second prototype are significantly smaller, allowing for a larger internal weapons bay, capable of accommodating up to 8 tonnes of armaments. So the second prototype has reduced tyre size to accommodate a larger internal weapons bay, this does not lead to the likelihood it is being developed as a naval fighter. Right. Because India would probably want indigenous IFF, comms, sensors etc...like with most of their hardware. P-8i being an example. All the sensitive equipment anyway. Not talking about flight control software/hardware. Not yet. Again, there are plenty of sources making these claims about a possible naval variant. "A new scale model of the FC-31 on display in the Shenyang Aviation Museum carries Chinese naval insignia, further hinting at a planned carrier capability for the aircraft. The museum is owned by the Shenyang Aircraft Corporation. Like most carrier-borne aircraft, the FC-31 has a twin nose gear, and it was recently reported that the third Chinese aircraft carrier would be fitted with three steam catapults. Chen also noted that the smaller and lighter footprint of the FC-31 gives it an advantage on a carrier’s limited deck space. Moreover, Shenyang would have an advantage over other Chinese aerospace companies, because of its experience in adapting the Su-27 for Chinese naval use as the J-15." And Shenyang is a Chinese company, no? So China is is/has been funding the development costs up until at least now. I'll be a little more specific next time. How did you reach that conclusion? No where does it say that the landing gear or wheels/tyres have been downsized. It merely states that the wheel WELLS were downsized. Which to me sounds like they were excessively large before. There is a number of pictures on Google of the second prototype with the gear out. There doesn't seem to be any change from the first. Compare that with the F-35C and they are very similar. Then compare it to say a F-15 and you'll definitely notice the difference. China has 3/4 new carriers coming in. They'll definitely need more aircraft. This fits the bill. No they haven't. They used WS-13 variants all the way. The same engine that powers the JF-17 BTW. Think about it, why would they even need to import the RD-93 for a few prototypes when they already have an in-production engine (for several years now) that delivers the same? The claim about the prototype being powered by RD-93s was made by the head of Mikoyan, manufacturer of the rival MiG-29/35. Tut tut, this is China we are talking about here. Shenyang Aircraft Corp. is the Chinese state. It's easy to claim that it is self funded when the company is owned, controlled and funded by the worlds largest economy. I wouldn't rule out what Mikoyan has said though. They may actually know. I know it's not the best source, but Wikipedia states that both the WS-13 and RD-93 are options. A lot of articles on the second prototype seem to indicate it flew with different engines. Mainly due to the lack of smoke which the RD-93 is known for. According to a few articles, it also appears as though the WS-13E will replace the WS-13 and there is a WS-19 in development. I'll take it, you raise a good point. Either way, Shenyang is funding the dev of this project and looking for an export customer to actually bring the aircraft from a rough prototype stage to a production ready airframe. Given the costs involved in making that happen it is doubtful a customer will appear and the only hope Shenyang have is for the Chinese Military to order. I'm not convinced the Chinese Military actually want the jet though else they would have made a decision before now. And Shenyang is a STATE OWNED company. So China funded, is a acceptable claim to make. But as for the rest, only time will tell. The Chinese navy will definitely need for hardware for their new carriers. Could definitely see Pakistan being interested though. I'm not convinced the Chinese Military actually want the jet though else they would have made a decision before now. How do you know that they haven't made a decision? I can't remember ever reading about the PLAAF announcing an order for homemade combat aircraft. They just suddenly appear in Chinese markings from one day to the next. FYI, western opinion was generally that the J-10B was meant for export only, but now the PLAAF has 56 in service, with the J-10C having just entered service too. The lack of an actual development program, as in increasing number of airframes to support DT&E, is a clear sign. So in other words, unless they build 200+ prototypes like the F-35 program, then they can't possibly be doing it? No, as I already explained in the other thread so far after almost five years since the first aircraft flew in 2012 we have only just had the first flight of the second prototype, which may actually be the first prototype just modified. The F-35 had 16 prototypes but given the aircraft has three distinct variants that seems appropriate. The PAK-FA will have eleven prototypes by the time Russian inducts the first full production airframe. The J-20 has eight prototypes. The eighth J-20 prototype "2017" made its maiden flight on November 24, 2015 at the Aviation Industry Corporation (AVIC) factory in Chengdu, China. Complete with a red carpet launch ceremony, the event was well attended by AVIC dignitaries, J-20 program personnel and government officials. Even the JF-17, essentially a modified J-7 design, had six prototypes with four manufactured within four years of the first. Maybe a sign that a customer has signed on for the completement of a service variant? And maybe Shenyang modifying the design in an attempt to find an export partner/customer. Neither of us know but right now there is no stated customer and no indication the dev program is progressing in the same manner we see from multiple other manufacturers. but right now there is no stated customer and no indication the dev program is progressing in the same manner we see from multiple other manufacturers. But China doesn't state customers the same way western and even Russian manufacturers do, and they can have a habit of developing their aircraft in very illogical and different ways. Personally, when it comes to China, I don't believe it until I see it, and I think it is foolish to make any certain statements about Chinese plans until something actually appears (or not). They have had programs lying dormant for years before suddenly taking them up again without any announcements. Take the trainer program. They had the JL-10 which was a new design developed with Yakovlevs assistance, and the JL-9, a MiG-21 development. The JL-9 was selected, and nothing was heard from the JL-10 for over 10 years apart from an unmanned variant taking to the skies, and suddenly the PLAAF takes delivery of a bunch in April 2017. The Y-9 also had a similar hiatus. So the fact that only 1 prototype appeared in 4 or 5 years doesn't really indicate anything particularly unusual to me when talking about China. BTW, the YF-22 only had 2 prototypes in a 6-7 year period. Given the size of China and the secrecy of its military, it isn't impossible to imagine that they have a second prototype hidden away in a place like the Gobi desert. BTW, the YF-22 only had 2 prototypes in a 6-7 year period. Let's get this out of the way first. Correct, the YF-22 program only have two prototypes, but the F-22 program had 8 test or prototype airframes. 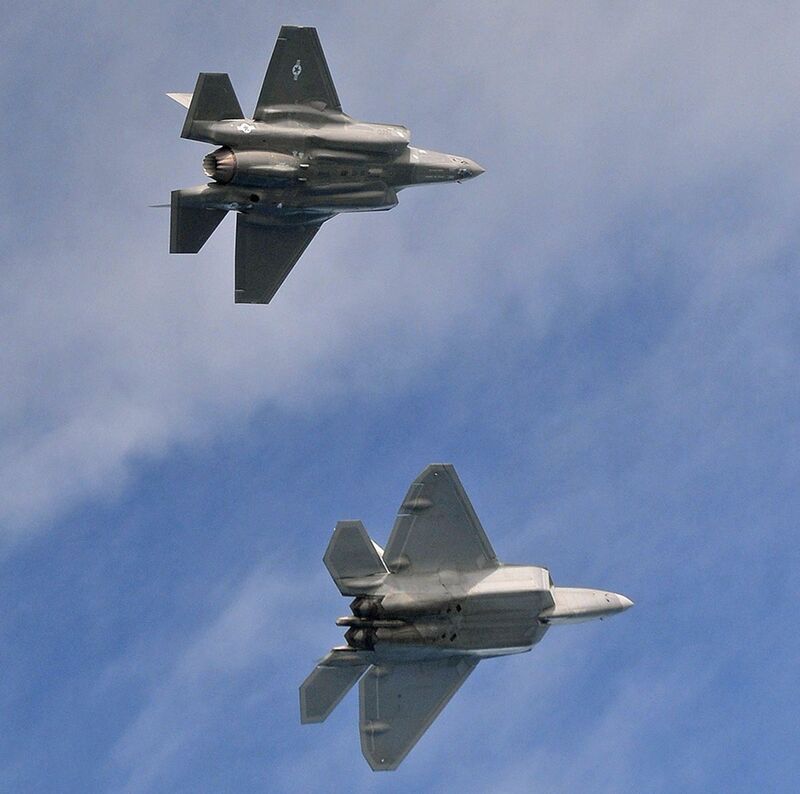 The YF-22 program is similar to the X-35, which also had two prototypes while the F-35 had 16 test or prototype airframes. Which is all great, but that just agrees with what I am saying. At this point in time we can consider the FC-31 as a near dormant program, given it has been stated numerous times that Shenyang developed the FC-31 with the intent to export. Given the size of China and the secrecy of its military, it isn't impossible to imagine that they have a second prototype hidden away in a place like the Gobi desert. China is changing. For example, the roll out of J-20 prototypes occur in public and with much fanfare, Shenyang flew the FC-31 at an airshow and earlier this year China announced their largest UAV foreign military sale, http://www.janes.com/article/68308/china-secures-its-biggest-military-export-order-for-new-uav-system China also announces its annual military budget, makes a spectacle of military exercises and constantly features the military on Chinese TV. China is very secretive about their development programs. Things just suddenly appear one day. They also seem to treat them differently than the west, which makes them slow at first. They will make significant changes from one prototype to the next. 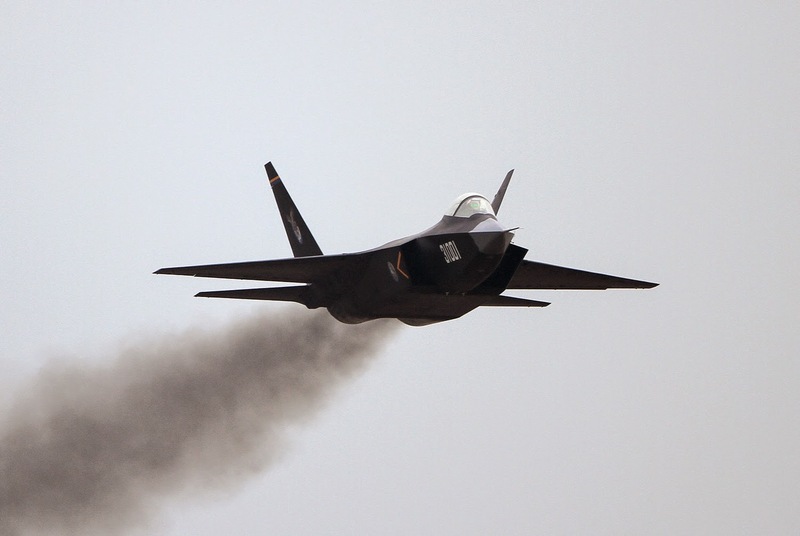 As has been seen with the second prototype and the same was done with the J-20. Those changes take time. Even Russia/Sukhoi has been very quiet about the T-50 for a few years. Very hard to find new pictures and progress information and nobody but them actually know how many frames are flying. They don't just crank out frames like the west and update/fix frames later. As mentioned above. Just because we don't hear anything, doesn't mean it's dormant. They implement big changes as they go. If you Google FC-31, most articles about the second prototype are from around Dec 16. Then I stumbled across this article yesterday (from 16 Aug 17) about their aircraft carriers, which says the second prototype has made numerous flights over the summer. Most recently as July 25th, not even a month before the article was published. It also states that a 3rd prototype is planned and will be a carrier variant. "Additionally, the second prototype J-31 stealth fighter has made additional flights this summer, the most recent on July 25. This burst of activity gives credence to reports that Shenyang Aircraft Corporation, the J-31's builders, is planning to create a third J-31 prototype with the capability to operate on catapult-equipped aircraft carriers." So just because you don't hear anything, doesn't mean nothing is happening. The J-20 program has also been very quiet. "Chinese analysts view CAST’s progress in this respect as integral to fulfilling the People Liberation Army’s (PLA) burgeoning and increasingly qualitatively driven requirements, such as its push for next-generation combat aircraft, namely the Chengdu J-20, Xian H-20 stealth bomber and the Shenyang FC-31." The first prototype DEFINITELY had either RD-93 or RD-33. I saw it in Zhuhai in 2014 and I'm positive it had those engines. I have seen the MiG-29 countless times in person and there is no mistaking the engine sound at taxi and the smoke when changing throttle settings. Respectively, no you wouldn't. They look exactly the same, and given the close relationship, probably sound and behave the same way too. You won't know unless you inspected the inside of the engine up close. This is a bad photo for it, but I'll bite. RD-93 on the left and WS-13 on the right. Production JF-17s are flying with RD-93s. The early prototypes had RD-93s. The Chinese want to transition to WS-13, so a lot of dev work is ongoing, including flights with WS-13s. They are doing more or less the same with the J-31, starting with a "known quantity" engine, the RD-33/93, with plans to eventually field the type with WS-13 once the engine matures enough for the PLAAF or any other customer to use it. I believe the second J-31 prototype (or was it the reworked first, I forget which) did fly with WS-13s, but the first flights and the 2014 Zhuhai demos were definitely powered by RD-93s. See also: J-10/J-11 and the WS-10 family. The Chinese don't usually start by pairing an all-new airframe with an unproven engine. If the WS-13 is an exact copy of the RD-93, I might be fooled since they will sound and smoke the same. But I know what an RD-33/93 sounds and smokes like no question about it. The picture doesn't work so I can't comment. A nice shot of a prototype FC-31 has appeared on Twitter. Intersting mix of features between the two US jets. Big changes over the 1st prototype. Definitely an interesting mix. I think it would look very good with small all movable vertical stabs like the su-57. "Chinese Aircraft Maker Issues RFP For Stealth Aircraft’s Target Detection Systems"
Yikes - the thought of converting ANY jet design in a semi-mature phase into a carrier variant makes me dizzy. Lots and lots and lots of gear and repetition-prone systems will probably have to be re-engineered. Diving into the materials and corrosion issues will be an entirely different animal. Difficult task for anyone, but we're not exactly talking about Grumman or Boeing here when it comes to carrier systems experience. Only time will tell, there's literally zero information in those links - everyone's just speculating. I mean obviously they're spending some decent $$$$ on carriers, and will need to put something on them. They just seem a tiny bit behind the power curve on what exactly that might be. I guess they can just keep the SU-33 clones on them - they do seem rather insistent (almost envious even) about converting to 5th gen / stealth ASAP, or at least aircraft that look to play the part. IMHO they've got enough problems just getting these things to work correctly (I'm talking flight controls, weapons system integration, radar/sensor development, etc) - getting any of their "stealth" aircraft deployed on a carrier probably won't happen for over a decade. I thought it was always supposed to be a navy fighter? That’s what I’ve read here and in other forums. Looking closer, it seems at first look they are very different, shapes, surfaces, angles, inlets, flaptracks, engines. No, while that has been suggested for quite a number of years the intent of the FC-31 has always been to export. Only in the 6-12 months, with the PLANAF struggling to operate the J-15 safely and recognising it as a failure, is the FC-31 being seriously considered to replace it. Either way, it is probably at least seven years away from IOC on a Chinese carrier. There are only two prototypes, neither of which is equipped or designed for carrier operations, so the aircraft has a long way to go before it matures to the point where it can operate on an aircraft carrier. It will be a lot of work(and money), but I imagine it will use what it can from the J-15. At least for the initial development frames and perhaps early production frames. I suppose it just depends on whether they decide to go with any other changes. If they decide to go with an enlarged wing like the F-35C, then incorporating the other required changes for carrier ops might not be so bad. Russia may even get in on it since the SU-33 is out of production and they have plans to acquire new/more Carriers too. They don't really have the money to develop something new and wont have the time to field a new aircraft in the timeframe they want a new Carrier. Especially not a 5th Gen fighter. The Su-57 is on the large side and not ideal for Carrier ops, so I dont see a variant of that being a viable option. A naval variant of the Mig-35 is under development, but I can't imagine they'd want that as their only option for Carrier ops. Exactly, none of them seem ideal really. I think they'll make something work - but probably in extremely low numbers. At the end of the day, they're very large planes with very tough speed requirements. They all basically need an F-14-style wing design if they want the best of both worlds - OR create a specific carrier variant with those ops in mind (F-18, F-35C). Either way I think dispatch rate will be low, maintenance costs very high, and carrier efficiency very low (space constraints, range/payload, etc) - but I suppose if those are your options, you'll make it work! As far as the J-31 is concerned, I see the same problems - except (and granted, I don't have anything specific to back this up) I can't imagine any of those designs are nearly as robust as the Russian fighters - which is a huge disadvantage.